South Africa has to abandon its “naive” variant of inflation targeting, says a new report from the Industrial Development Think Tank, which is supported by the department of trade and industry and the University of Johannesburg’s Centre for Competition, Regulation and Economic Development. The report, which was released on Friday by Trade and Industry Minister Rob Davies, also calls for a reversal of the fragmentation of the state under former president Jacob Zuma, which saw the major economic planning departments such as the department of trade and industry split up to create new ministries with overlapping and conflicting jobs. Other major policy choices from the 2000s have given too much ground to large companies and the relatively rich, it said. 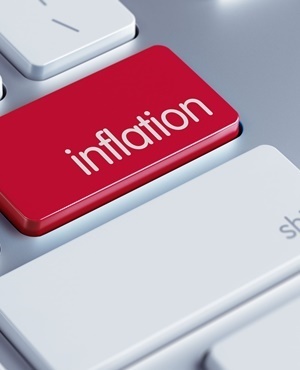 The inflation targeting policy of the SA Reserve Bank was at the centre of a political storm last year after Public Protector Busisiwe Mkhwebane’s controversial attempt to alter the Constitution – ostensibly to remove the inflation targeting mandate. Simon Roberts, co-author of this week’s report, admits that it has become hard to talk about inflation targeting in the wake of that scandal, which was widely seen as an attempt by the forces of state capture to seize the Reserve Bank. The policy has nevertheless failed and contributed significantly to the massive premature deindustrialisation South Africa has experienced over the past two decades, said the report. “The whole world has moved away from pure inflation targeting. It is a naive way to fight inflation that says inflation is only due to excess demand,” said Roberts. The incredibly low inflation figure was announced this week by Stats SA and reflects the success of competition policy, added Roberts. “Cartels kept prices high. In food markets, with the end of the drought, prices have actually come down again. In the past, food prices went up and never came down. This is a big success for markets. If you could have predicted this, interest rates should have come down last year. The Reserve Bank is fighting the last war, not the current war,” said Roberts. The report’s indictment of current monetary policy revolves around the commodities boom that ended in 2008. The state should have managed the exchange rate and not let the rand strengthen all the way to R6 to the dollar, said Roberts. Instead, the resource boom ironically saw a “hollowing out” of South Africa’s machinery sector due to rising imports of manufactured goods. The overly strong rand also saw a boom of investment in nontradable sectors such as private healthcare and private education, which are not exposed to competition from imports caused by a strong rand. “We are saying that it is definitely not the case if we thought we’d be absolutely fine if the corruption was gone. We have to have a debate about the 2000s again,” said Roberts. The report specifically criticises South Africa’s single largest incentive scheme – the Automotive Production Development Programme, which costs about R30 billion a year in tax breaks for car manufacturers. This scheme is too favourable to multinational carmakers and has actually led to a worse trade balance and very little development of the automotive component sector. The parts that go into the cars made in South Africa are still imported. While high levels of public investment are often trumpeted, there is a distinct class bias in the transport spending that has seen both the Gautrain and a five-lane highway serve Gauteng’s civil servants and finance sector workers, while the Passenger Rail Agency of SA’s trains fall apart, said Roberts. The report repeatedly bemoans the “fragmentation” of the state after 2009. “You had a different settlement that brought in the Zuma regime, and then this fragmentation allows a lot more lobbying to go on and creates a lot of jobs in the public service. It militates against coordinated policy. You separated economic development from the department of trade and industry. Energy and mining got separated from each other. Agriculture and land affairs got separated from each other. Telecommunications and postal services got separated. It had a number of consequences,” said Roberts.